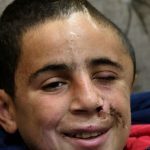 HOPE RISES FOR A 15 YEAR OLD PALESTINIAN BOY, MUHAMMED TAMIMI who was shot in the head and face at close range with a rubber-coated, metal bullet by the Isreali Army, as South African surgeons puts up a brave medical fight as they jointly performed reconstructive surgery on the Palestinian teen. 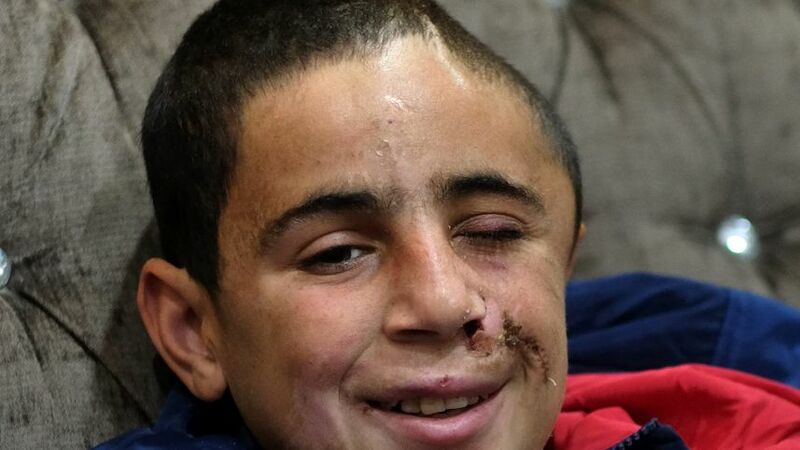 The bullet went through Tamimi’s nose and lodged in his brain. A large part of his skull had to be removed, causing his left eye to sink. As a result, he was unable to move his eye in all directions, and couldn’t open his mouth fully. Israeli authorities claimed the teen sustained the injuries by falling off his bicycle. South African doctors are now working on bringing some sunshine back into Tamimi’s life. Headed by award-winning South African surgeon, Ridwaan Mia, the team performed a five and a half hour operation on Tamimi in Johannesburg recently – reconstructing a large part of his eye and mouth area. Tamimi will regain full use of his left eye. especially the most vulnerable amongst us,” he said. Tamimi to see Madiba's statue at the Union Buildings in Pretoria. soon after South African surgeons performed reconstructive surgery on the Palestinian teen. These simple pleasures are what this Palestinian teenager, Tamimi, longs for, after he was shot in the head at close range with a rubber-coated, metal bullet by Israeli soldiers during a nightly raid on the Palestinian village of Nabi Saleh in the Israeli-occupied West Bank in December last year.